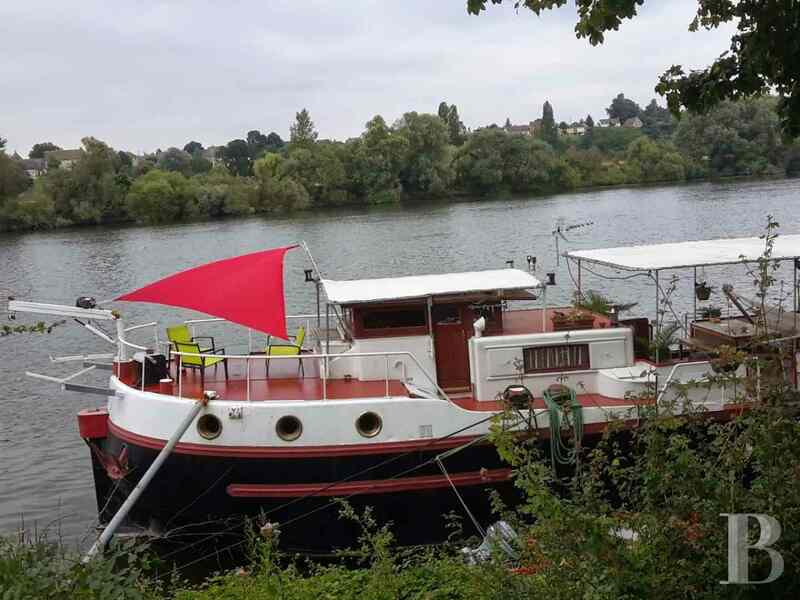 Based 95 km from Paris, on the side of the river Seine, this barge is riverworthy and can, therefore, travel to any other mooring without any problem. 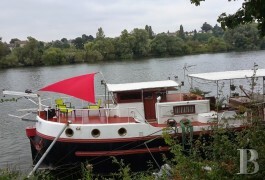 The nearest provincial town is 5 km away, the nearest village with all shops and an SNCF train station is 1 km away. The A13 motorway is 8 km away. 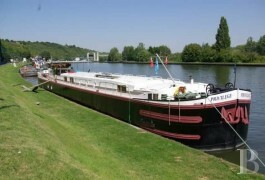 This region in the French department of Eure is dotted with attractive villages that can easily be reached by motorway. 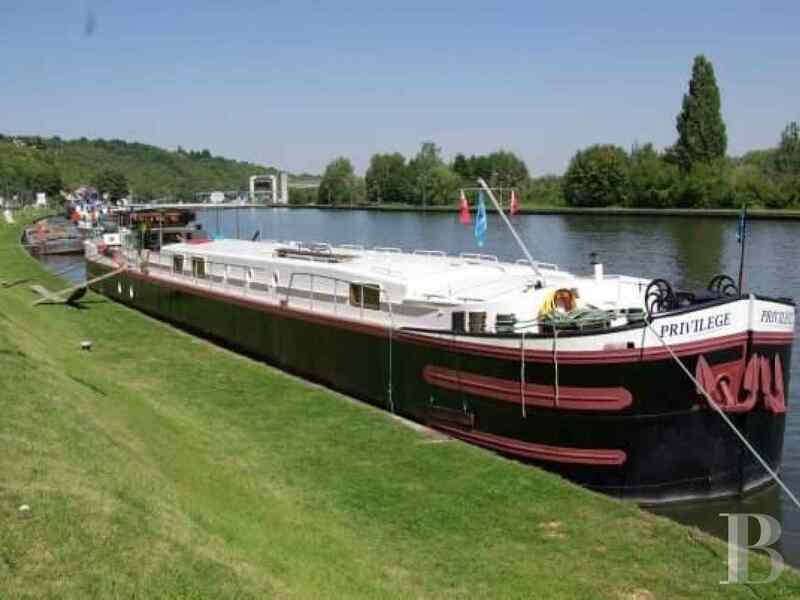 This barge is motorised and can consequently navigate the river Seine which flows as far as Le-Havre, with a choice of many wonderful stopovers. 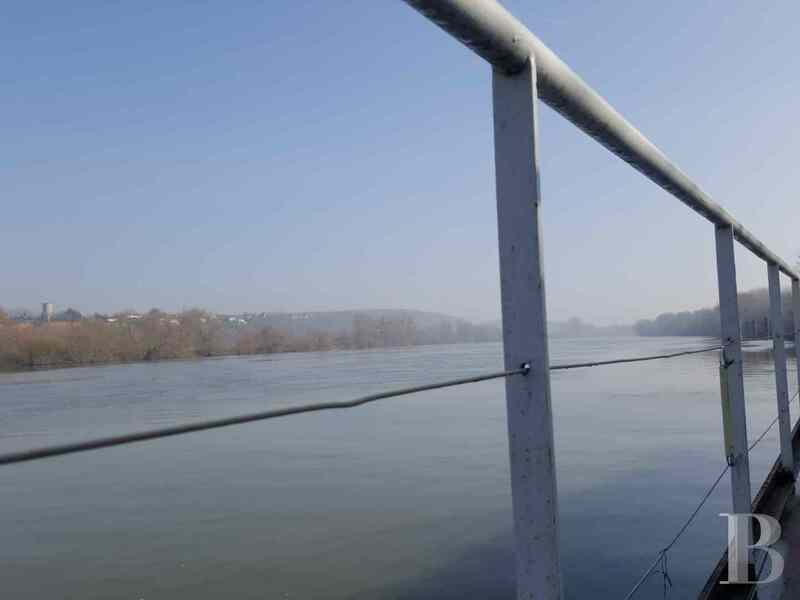 There are lots of cycle and hiking trails to be explored in the area surrounding its home port. 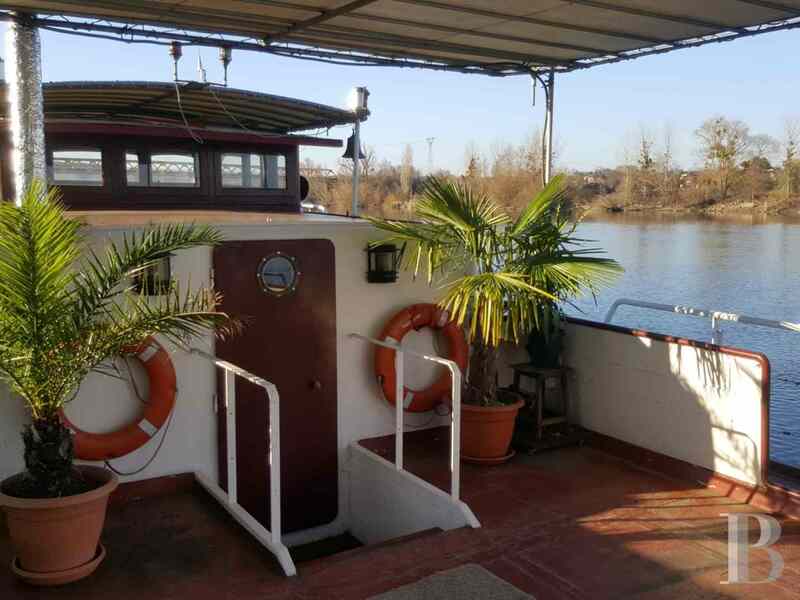 Comfortably converted by the current owners, this barge is divided into two sections of living space. 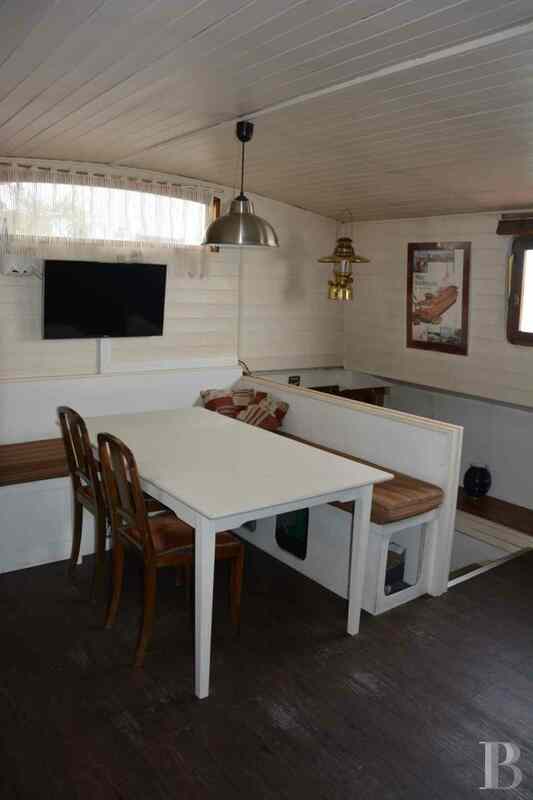 The first comprises two bedrooms, a shower room, a toilet, a small open-plan kitchen with an eating area and, on a lower level, a lounge with a wood-burning stove, all of which is comfortably heated. 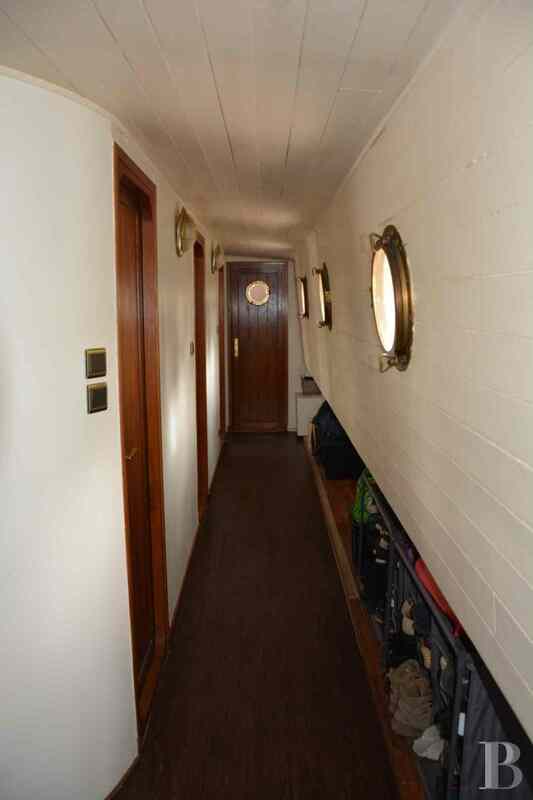 Most of the floors are covered with sprung parquet flooring. The openings let in copious amounts of day and sunlight. 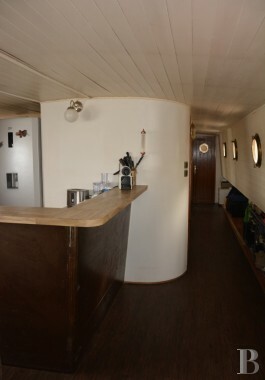 The other section, the captain’s quarters, also comprises the wheelhouse where the impressive steering wheel, a key feature of the barge during navigation, takes pride of place. 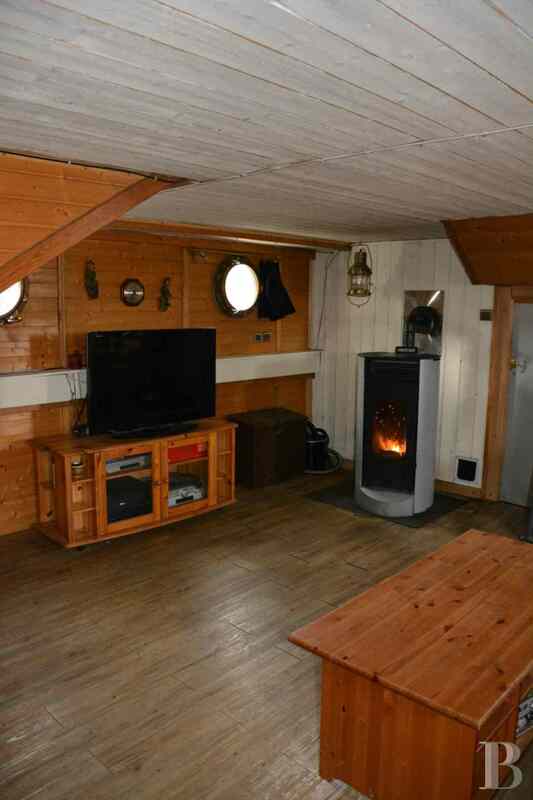 It also includes a studio flat on a lower level. The latter is often let out through accommodation websites. This level is taken up by the engine room and a room used for storage purposes. 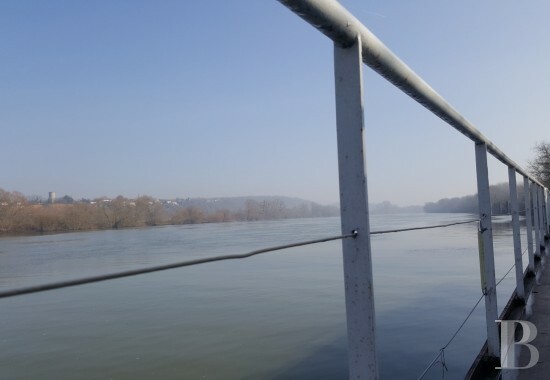 The beam is 1.40 m high. 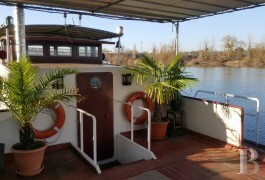 A main and a rear terrace can be used for lazing about on sunny days. This second dwelling, on the other side of the wheelhouse, begins with a little kitchen then, three steps down, comes a lounge with, on the side, a bedroom, a shower room with a toilet and cupboards. 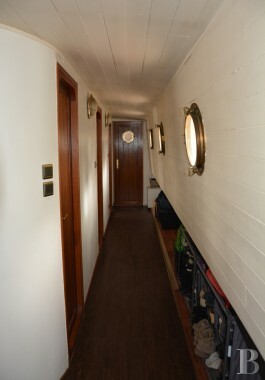 Parquet flooring and wall panelling makes these areas warm and welcoming. May the devil take conventionality, a boring sedentary lifestyle and narrow mindedness! 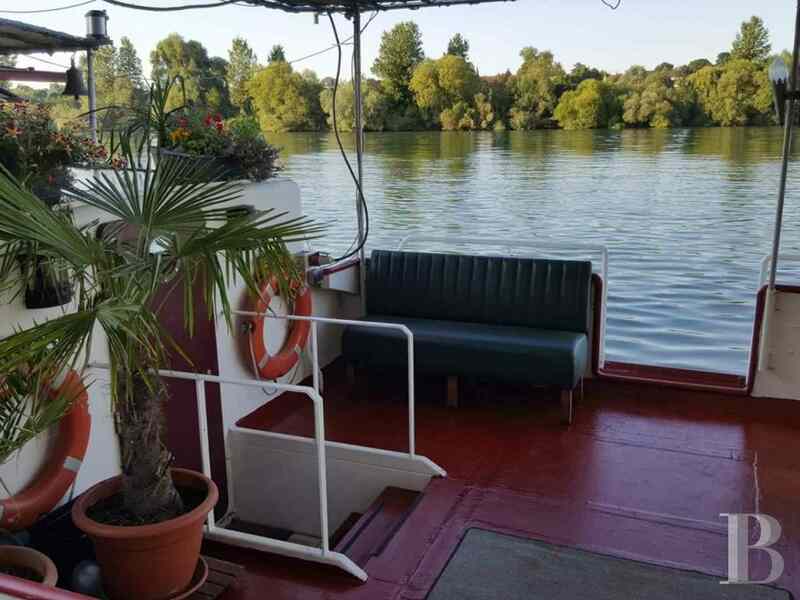 Life on a barge is exciting and very comfortable. 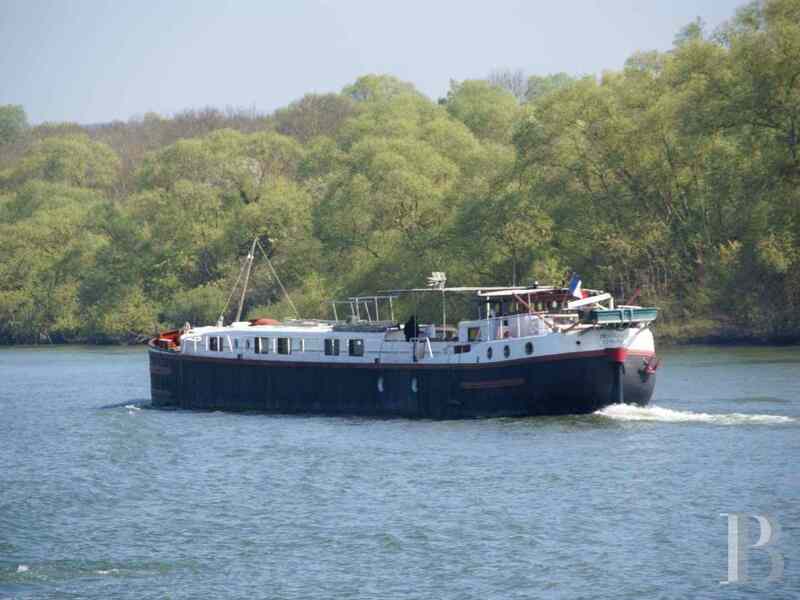 Furthermore, it can be moored in a region of your choice. 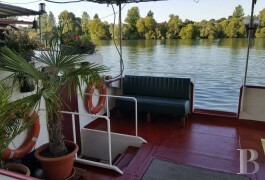 But the very idea of being able to go up and down the river Seine is thrilling. Just thinking about it brings poetic verse to mind! 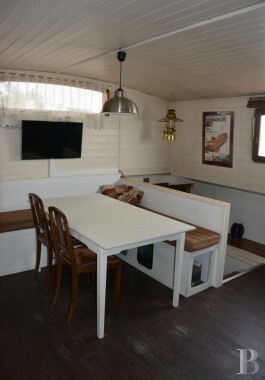 This particular boat is also converted such that one section of it could be rented. There is no age for changing vocation to become captain of a barge.